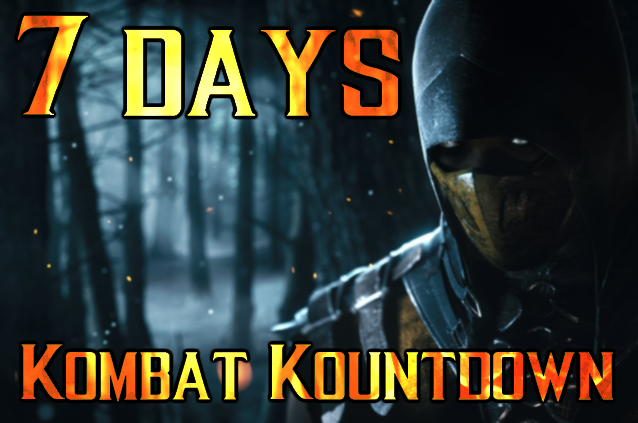 There are just seven days until the release of the next Mortal Kombat, the first for next-gen systems. I've made it pretty clear through this site and the Toons' Game Time podcast that I'm looking forward to this game. So each day until its release, I will post something here at ToonsShow.com related to the game or the franchise. It is only appropriate that we start with the roster of characters which will be in the tenth installment (not including Mythology, Special Forces and Shaolin Monks of course) in the series. Yeah, it's kind of a weak post, but my time was really limited today, so there. Takahashi Takeda: The son of Blind Kenshi, Takeda studied under the leader of the Shirai Ryu, Hanzo Hasashi who would become Scorpion. Kung Jin: Kung Jin's older cousin, Kung Lao, is no stranger to Mortal Kombat. Jin's life took many turns in the wake of Lao's death after the events of MK (2011). Erron Black: This Outworld gunslinger finds himself as one of Kotal Kahn's deadliest warriors. Kotal Kahn: Kotal Kahn became Emperor of Outworld following Shao Khan's oust from the throne. His features and garb resemble that of the Aztec god of war. Ferra & Torr: Ferra rides atop Torr as the two make a formidable pair of warriors under Kotal Kahn's direction. D'Vorah: D'Vorah belongs to an Outworldian insect-like species and serves that realm's new emperor, Kotal Kahn. Tremor: Tremor appeared only once as a playable character, in the PS Vita port of 2011's Mortal Kombat. He is a member of the Black Dragon clan and has control over earth. Predator: Hailing from Yautja Prime, Predators like to hunt and the more challenging the kill, the better. The MK universe will provide plenty of excellent game. Jason: Jason Voorhees was made popular by the Friday the 13th series. It is likely that his mother sent him to the MK universe to punish the all of the bad children. For Mother, of course.